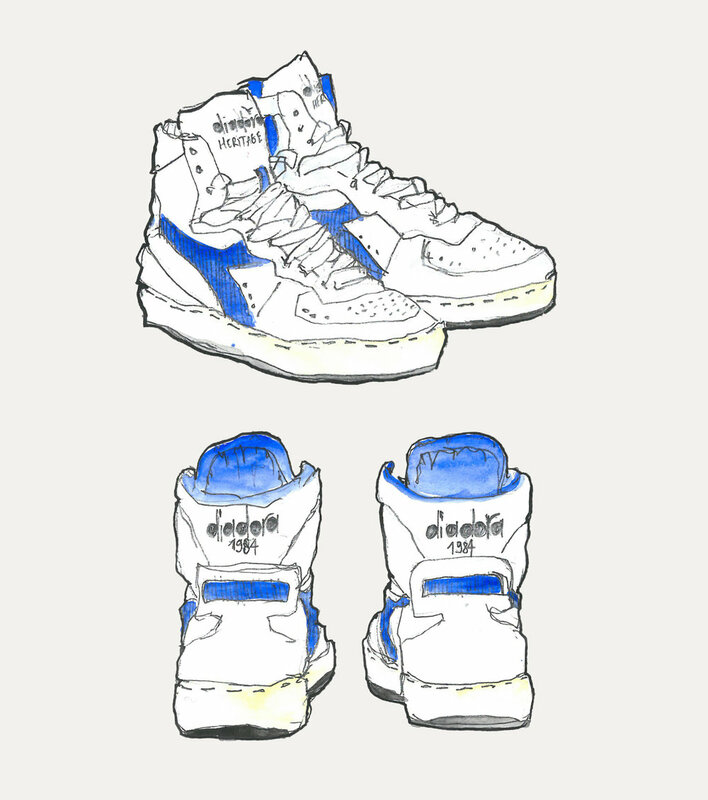 You don’t become iconic for no reason and that’s something Diadora knows pretty well. Throughout 70 years of existence, the italian brand has evolved and has known how to reinvent itself, all the while staying true to its roots and values: true italian craftsmanship, quality materials, sporty touch, authenticity. 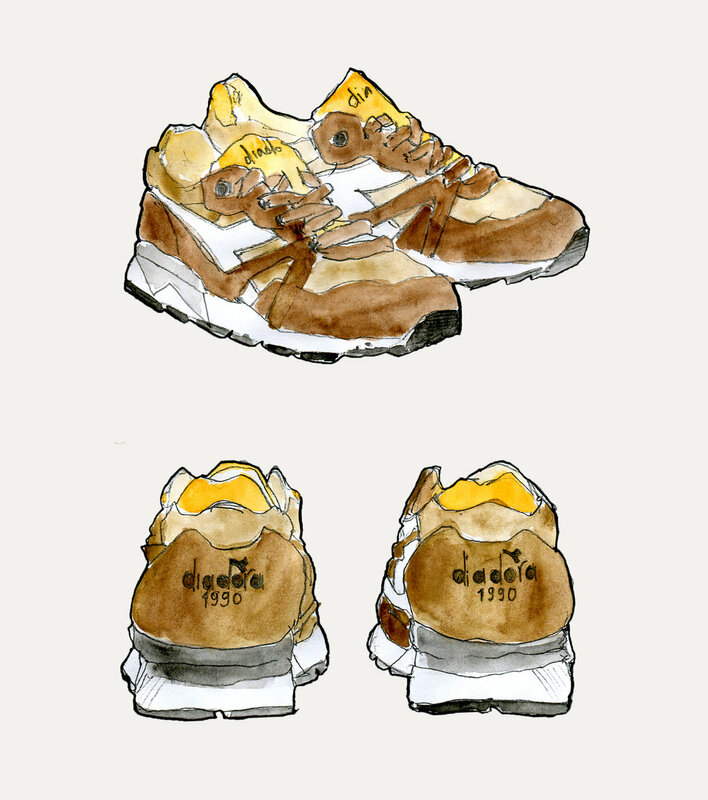 Diadora was born in 1948 in Marcello Danieli’s workshop in the town of Montebelluna, in the region of Venice. Pretty quickly, the brand made a reputation for itself and became huge in Italy. At the start though, Diadora only produced hiking shoes and at the beginning of the 60’s, it started creating sport articles. Its popularity grew and its inspired sports collections seduced far beyond the italian borders. It is such a success that a handful of sport legends start sporting the soon to be famous sneakers: Björn Borg, Edwin Moses, Roberto Bettega or Ayrton Senna to name a few. 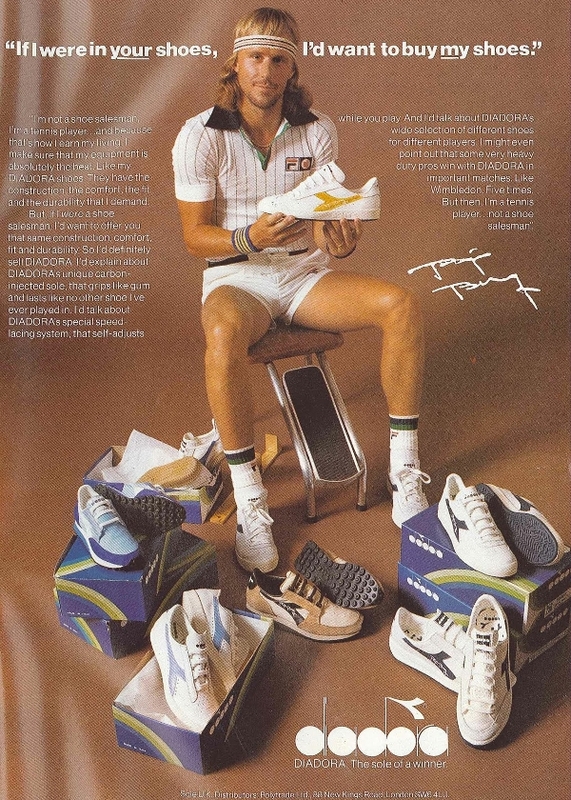 This publicity helps boosting the reputation and allows Diadora to become a brand for everyone and not only for high-level sport icons. You got it, Diadora is a brand like no other and we've got a crush on them. We’ve picked two different styles, coming in two different colours each. It was a tough job as their shoes are all to die for. Looking at those ones, only the 80’s can come to mind! Indeed, they were created in 1984 in occasion of the Milan Basketball team sponsorship and they are back for A/W 18 in two different colours: white/brick red and bianco/blue. The model features a very fine full-grain leather combined with a used vintage effect to convey the right effect of a proper aged shoe. This timeless classic is back and reconfirmed as a favourite here at Bellerose. The upper canvas, enhanced with leather details and a special “stone-washed” treatment, while it also features a leather insole and waxed laces. It is a perfect combination of sporty tradition all the while being attentive to contemporary design and trends. It is coming soon in two colours: grey ash and brown earth.